In June, the World Wildlife Fund (WWF) and the GSI co-hosted a thought-leaders’ discussion at the World Bank in Washington, DC, to look to the Future of Aquaculture. Focusing on questions such as: what barriers and opportunities might the industry face, and what can we do now to help ensure the sector’s future is sustainable? The group set out to build a road map for a sustainable future of aquaculture. It is widely acknowledged that global ageing populations, increases in income and wealth, healthier diets, and population growth are all leading to increased consumption of seafood. The inability to extract more seafood from the oceans has, and will, drive the need for increases in aquaculture production. Aquaculture, or farmed seafood, has great potential in helping meet growing demand while protecting wild fish stocks, and at the same offering a healthy and eco-efficient protein source. When compared to other forms of protein production (i.e. agriculture), aquaculture is intrinsically more sustainable, in regard to both environmental impact and resource use. However, aquaculture production must grow substantially to meet growing demands for protein and considerable changes, at speed and at scale, are needed to ensure the environmental impact of this needed growth is sustainable. Aquaculture has significant potential in helping provide a healthy and sustainable protein source for future populations. However, to reach this potential, a substantial increase in production is needed to ensure future demands for protein are met. This increased production must be matched by significant reductions in environmental impact and improvements in resource efficiency. Collaboration and partnerships will play an important role in accelerating the speed and scale of progress. Innovation and technological advancements are required to enable sustainable growth. Increased investment and funding will be critical to help implement best-practices and new innovations. Transparency will improve trust and support wider-scale progress. Incentives for efficiency improvements can help encourage greater transparency, utilization of best-practices and improved performance. Neighbourhood/landscape approaches taken through risk management regulatory frameworks will reduce ecosystem impacts. Greater collection and utilization of farm data will support smarter decision-making. Improved coordination of research and funding will ensure topics of relevance are being prioritized. Improved consumer awareness of the eco-efficient profile of farmed seafood and how to make sustainable food choices will support the sustainable growth of the industry. Supporting positive social impact through ensuring use of responsible farming practices. The aquaculture industry not only provides a healthy food product, it also provides a livelihood for thousands of people worldwide. 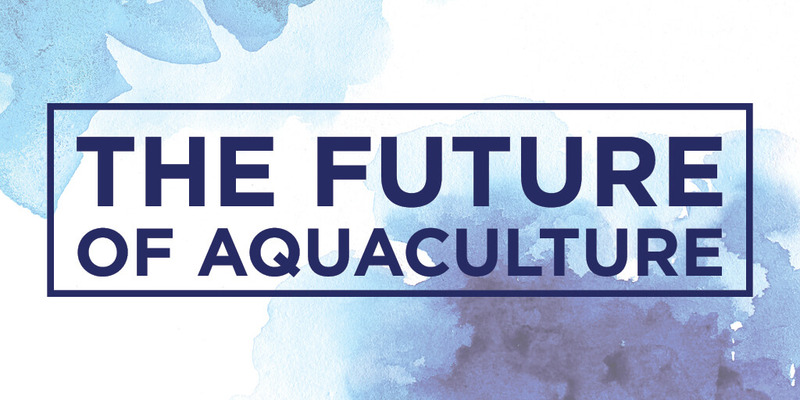 It is clear that the aquaculture industry has great potential in helping to provide a healthy and sustainable protein for future generations, but change is needed to ensure its future. While there is no silver bullet in making this possible, there are many opportunities to help the industry move in the right direction. Following this meeting, the attendees committed to forming the Future of Aquaculture Network and will continue to work together to help identify, and initiate positive action for the future. To learn more from the Network please follow #FutureAquaNetwork and #FutureofAqua on social media or check back here for updates.